What is ‘The Single Most Obvious way to Grow Your Business’? During the summer every year, I take a 2 – 3 week vacation from the UK. This year I’m in Spain (again) mainly because it’s hot, relaxing and the kids just love it here. It takes just over 2 hours to get here, so there is not a lot of traveling involved. While I’m on vacation, my business takes a back seat, but my creative side really comes out! Maybe it’s because I have less on my mind and I’m free to sit around in the sun, sipping a cocktail or a nice beer (Estrella is my fave here) and allow my mind to wander.. I think about my business a lot here and always always return home with a new prospective and ideas of what to do and what direction I want to travel for the rest of the year. I’ll save that post for another day, but for now what is the single most obvious way to grow your business? If you are not reading, researching and learning then your business is going nowhere! The Japanese call it kaizen and it loosely translates to ‘continuous improvement’. Now, I don’t come on vacation to strip back my business and create a whole new change, that’s like working while I’m on vacation. I actually get told off by my buddy John Thornhill for posting and not setting all my emails and posts before I go. What I do try to do is read some book recommendations to generate new ideas. First of all John Thornhill and I have a launch coming up next week on August 18th where we move into pre-launch. 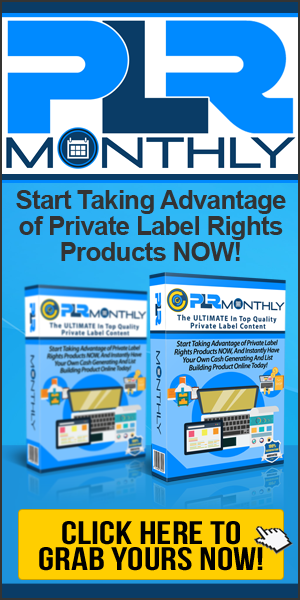 The product is called Product Launch Control and in a nut shell covers everything you need to know about launching your own online products. This is going to be big, so my first book to read was Jeff Walkers ‘Launch’. I wanted to see what Jeff talks about in his book and basically compare it to our own completed product launch product. The book itself is good, I found it very easy to understand; however if you are new to product launches you may have to read it a couple of times to get it to sink in! The eBook is a shade over $6 on Amazon Kindle and you can see Jeff is pushing for his backend product which is his flagship product Product Launch Formula which I’m sure is a lot more in-depth but it does cost around or upwards of 2K! Our Product launch Control will be nowhere near this price 🙂 A bit of friendly rivalry there. This eBook took me about 1 hour to go through, simply because it’s a list of online resources which are here to help you speed up your business! Depending on your own business I highly recommend reading this for the simple reason you WILL pickup some new tools. We as business owners or online entrepreneurs (I can never spell this word correctly the first time lol) should always be in touch with what is new and what is changing. Nick has kindly provided a list of everything new on the scene which has been build to help and since we don’t know every bit of new software, or tool just released this eBook is a great helping hand. These are just a few I’m going to look into. There is about 20 in all but I’m not going to list them all. My advice is check out the book it’s free on Kindle and I’m sure you will find your own tools to fit your own biz. I love to listen to and read Gary V’s stuff. He is very to the point and very inspirational. He is ‘THE’ social media guru for everyone who is interested in social media marketing. Gary and his team are experts in all aspects of social media, so as you can imagine, this is a good read! Although I’m not active on all platforms I only really hang out on Facebook and Instagram. Incidentally, if you do want to check out what I get up to away from business, check out Instagram and search for daniel_sumner on your smart phone. You can also check out my Facebook page HERE which I have some very big plans for. Ok, so what did I learn from Gary V? I did read the whole eBook even though I’m not interested in some of the marketing aspects of Pinterest, G+ (I know I should be), Snapchat etc. I was particularly interested in the way Gary markets to people with his jab, jab, jab approach meaning give, give, give then use the right hook to initiate a call to action, for example a sale or subscription. There is a great section of Facebook which Gary delves into ad look and feel, what works and what doesn’t. It was interesting to know that what techniques work on FB wont necessarily work on G+ or Twitter. Each platform must be approached in a different manner. *Side Note* This brings me to a matching product by Michael Cheney. His Fan Page Money Method in conjunction with Gary V’s advice is a recipe for ‘Face B’ success. Something which I will be putting into action when I return. If you are interested in looking at my review of Michael Cheney’s product Fan Page Money Method you can do it HERE. So many people concentrate on too many aspects of social media only ever scratching the surface and never completely mastering a single one. My advice is pick a platform and stick with it. I’m approaching a 1000 words now, so I’m going to wrap this up. If you are still here thanks for reading and sticking with me. There are no bad points today only good. Go ahead and download/buy all the recommendations today and soak this great biz info up! Takeaway – Never stop learning from others and never be the smartest person in the room. Hey Dan, I have Scrivener and it really makes the creative (writing) work flow a lot smoother than with a regular word processor. Think about having a mind map (although it’s more like “index cards”) where you can write all you need and if let’s say one chapter or module makes more sense somewhere else along the book or training you are creating, you just drag and drop that index card to the new location and you’re done. PS. I still haven’t read Gary V.’s book yet but I have it on my list oh and good luck with your launch man, can’t wait to see how it goes! looks like you are having a great time. Just finished Jeff Walkers book although I will need to read it a few more times for it to really sink in. Try the following for for some good reading % Star Service by Michael Heppell. Thanks Robert. I’m back now, but I will deffo pick that book up cheers. Hey Joan, Thanks for believing in my recommendations. I have used both products since I last wrote about them. It’s my first time on your blog, but I’ve seen your launch a few times, and hope it’s going well for you. I’m still at the stage where I’m all the time “learning from others” – but you made me feel better about it by the second part of your takeaway, which is such good sense: “Never be the smartest person in the room”.